Facilities spend millions of dollars on carpeting, upholstery, leather and oriental and area rugs as part of their overall image. Poor maintenance can adversely affect that professional image, waste thousands of dollars in misdirected cleaning costs, reduce product performance and accelerate the need for replacement. Our commercial carpet cleaning service will ensure that your investment is properly cleaned and protected. 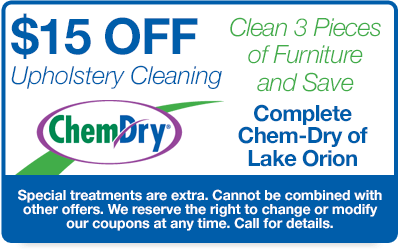 Complete Chem-Dry of Lake Orion understands the need to not only maintain a healthy indoor environment but also to extend the life of your expensive carpet, rug, fabric and leather investments. Many offices, retail stores, restaurants and other commercial establishments count on us to provide commercial carpet cleaning solutions for their maintenance needs. For more than 40 years, Chem-Dry has maintained an aggressive research and development program. We understand how carpets and fabrics wear and stain. We know there are many different types of fibers and textiles in the commercial environment. Our continued research and diligence when it comes to our solutions and procedures makes us the best choice to have in your office building to refresh your carpeting. We also know that cleaning these fabrics requires state-of-the-art equipment designed to use the lowest possible amount of moisture. With dry times of one to two hours, your business can continue running with little or no disruption. 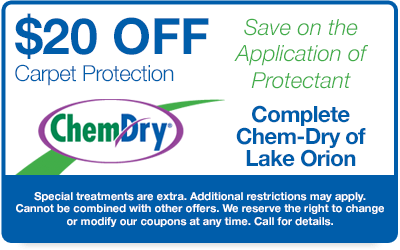 The carefully selected and screened, trustworthy, highly trained professional technicians of Complete Chem-Dry of Lake Orion are more than capable. We provide the Cleanest Clean, the Driest Dry and the Healthiest Process with the most advanced carpet and upholstery cleaning methods available for your commercial carpets, rugs, fabrics and leather. 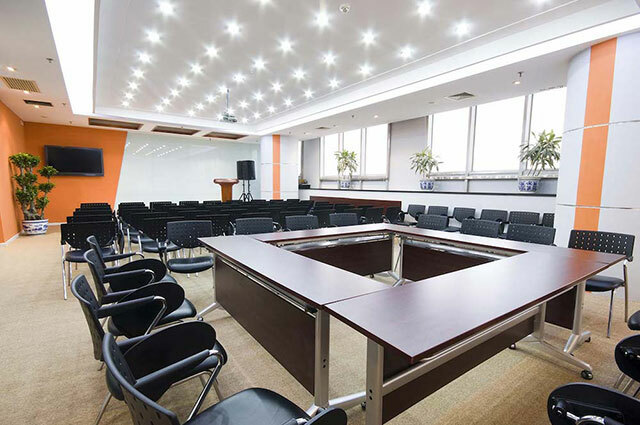 Working with you, we will analyze your facility and customize a program that makes your office look cleaner, last longer and stay healthier. Then, our professionals will deliver these services at the convenience of your work schedule. Thanks to our fast drying times, we’ll have your commercial space cleaned and completely ready to use again in as little time as possible. This makes scheduling our cleaning services around your own business schedule simple. 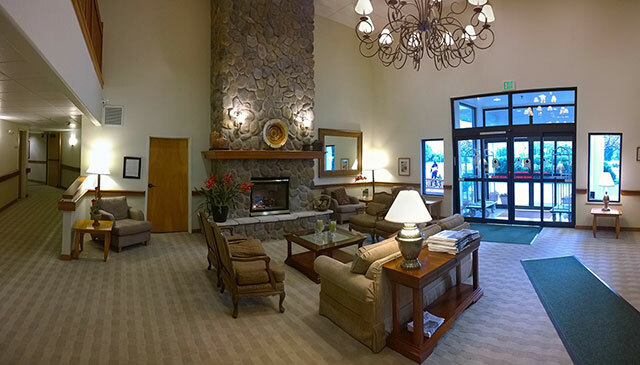 Unlike some commercial carpet cleaners in the area, we provide real results that you can see, feel, and smell. After all, this is why you want commercial cleaning in the first place – you want a cleaner space.